Vitamin D is one of the most vital nutrients that keeps your skeletal structure strong and fit. Along with other important minerals like calcium and phosphorus, vitamin D is also required in small proportion to maintain health of bones and teeth. 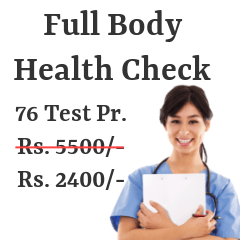 Below is the list of various diagnostic centers and hospitals across Pune city where vitamin D test is available. 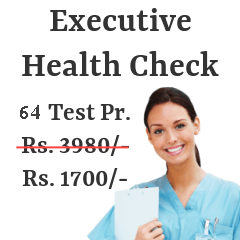 Prices of the test may vary from center to center depending upon the instruments used and facility provided. Accordingly, choose a medical center that suits your budget and which is located near your place of residence. 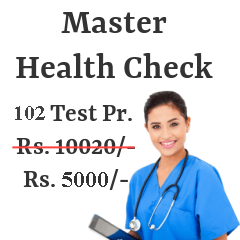 Following are the Vitamin-D Test centers from most reputed pathology / radiology labs in Pune. Gnd. Flr., B 1 Building, Cerebrum IT Park, Near Gold Adlabs, Kalyani Ngr. Vitamin D prevents occurrence of some dangerous diseases like type 1 diabetes, multiple sclerosis and cancer. Vitamin D test evaluates the level of vitamin D present in an individual's body. It gives insight whether optimum level of vitamin D is maintained or not. Vitamin D test is a simple blood test. Blood sample can be taken from vein in the arm. But before performing vitamin D test, there are certain rules that you need to implement. One cannot eat or drink for 4 hours prior to the test. This is essential in order to obtain precise test results. Vitamin D deficiency has become a common problem since last decade because of urbanization. City infrastructure that includes tall building prevents sun rays from reaching ground level. Thus, people get insufficient sunlight which is a cheap and easily available source of vitamin D. Our body reveals few symptoms that show deficiency of vitamin D. These symptoms include osteoporosis or osteopenia, schizophrenia, osteoarthritis, epilepsy, migraines, hypertension (high blood pressure), depression, diabetes mellitus (both types 1 and 2), PCOS (Polycystic ovary syndrome) and fibromyalgia. If you are suffering from any of these diseases, it can be interpreted as a signal of vitamin D deficiency. People who live near polar regions in both the hemispheres are at greater risk of developing vitamin D deficiency. Since, these regions receive enough sunlight only in few months, risk of deficiency increases in remaining months when sunlight is not available. Northern hemisphere region receives sunlight between the months of May and October while Southern hemisphere receives ample sunlight only in the months that lie between October and May. Thus, in the remaining months, residents of these polar regions tare devoid of sunlight. Pigment melanin is found in abundance in dark-skinned people. This pigment acts as a shield to protect skin from harmful radiation of sun. Hence, darker people are at higher risk of developing vitamin D deficiency. People who constantly keep on applying sunscreen and hardly get out in the sun are also at risk of developing vitamin D deficiency. Vitamin D deficiency should be not be ignored. It may produce grave consequences that affect overall skeletal structure. Strong vitamin D deficiency disorder is treated using vitamin D supplements.